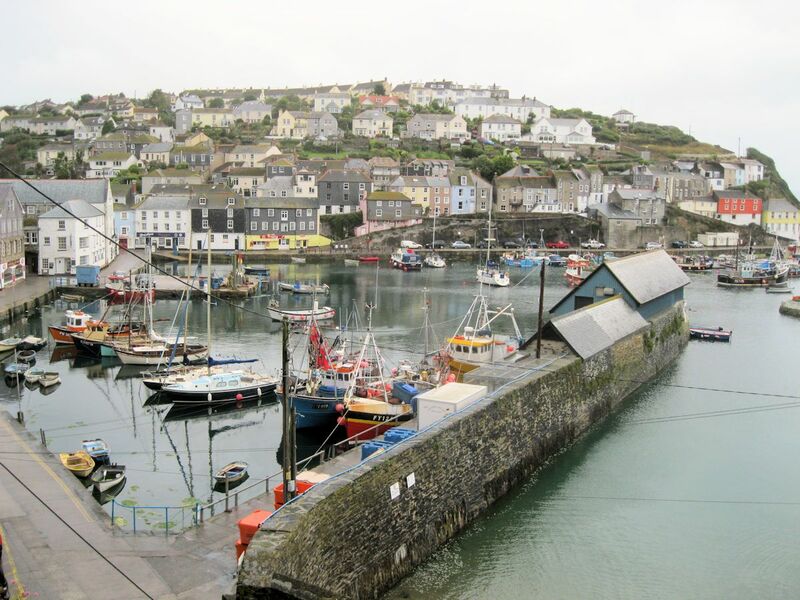 The fishing village of Mevagissey is named after a 6th century Irish missionary. Its labyrinth of tiny streets twist and turn inexorably towards the twin harbours which are its nerve centre, a place to watch the fisherman land their catch and mend their nets as they have since John Trewollas built the first pier in 1430. Mevagissey’s pier was reconstructed in the 1770s and again in the 1860s. The fishing industry dominated its trade, with 80 fishing vessels registered there in the 1850s and much direct export from Mevagissey to Italy, but other trade did occur; hemp, tallow and iron were imported for the mines, and barrel staves for the pilchard industry. Some china clay was exported in the late nineteenth century. By the 19th century, the most important catch was pilchard, some 40 million a year of which were salted in special cellars you can still see and packed into barrels for export to France and Italy. Earlier still, some of the crew doubled as smugglers or privateers, but today their secondary role is to introduce visitors to inshore fishing for mackerel or deep-sea shark-hunts. Nowadays, Mevagissey is a working fishing harbour, but it is also a welcome haven for visiting yachts. A summer-only ferry service operates across St Austell Bay between Fowey and Mevagissey.